Valentina Lisitsa is a Ukrainian-born classical pianist. Lisitsa resides in North Carolina in the USA. She is among the most frequently viewed pianists on YouTube. Lisitsa has followed a truly unique path to success, launching her career via social media, without initially signing to a tour promoter or record company. Lisitsa was born in Kiev, Ukraine, in 1973. She started playing the piano at the age of three, performing her first solo recital at the age of four. Despite her early disposition to music, her dream at that point was to become a professional chess player. Lisitsa attended the Lysenko music school for Gifted Children and, later, Kiev Conservatory, where she and her future husband, Alexei Kuznetsoff, studied. It was when Lisitsa met Kuznetsoff that she began to take music more seriously. In 1991, they won the first prize in The Murray Dranoff Two Piano Competition. 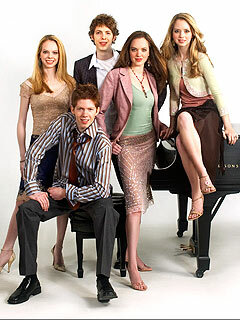 In the same year, they moved to the United States to further their careers as concert pianists. Their New York debut was at the Mostly Mozart Festival at Lincoln Center in 1995. For more details of her journey as an artist click here.